Enrichment Center for the Disadvantaged (ECD) is a non-for-profit organization operating in Ethiopia. Since its establishment in April, 2003, the center has dedicated itself to providing support for orphaned and vulnerable children as well as economically disadvantaged women. In addition to providing for their most basic human needs, the center focuses on promoting holistic, innovative and sustainable community-based programming and training that responds to the currently challenging socio-economic, socio-emotional and psycho-social aspects of children and women confronted by difficult circumstances. ECD believes these needs can be met through the joint effort, and warm hearts, of individuals. The General Assembly and the Board of Directors are the highest administrative organs of the organization. The Secretariat, The Managing Director with qualified personnel, is responsible for the execution of project objectives. Our mission is creating hope for the hopeless by serving, respecting and protecting the rights and healthy growth and development of orphan & vulnerable children and economically disadvantaged women. Aspiring to head a renowned NGO that works for the uplifment of the poor and disadvantaged in the society and work towards creating an awareness in the public to raise funds forthe growth of the organization. Founder Mr. Sahilu Baye works with a talented team of professionals to accomplish Children's needs. Mr. Sahilu Baye has many hats in his professional carrier – Child Development Specialist with MA degree in Child Development from The University of Haifa, a Project Manager with MBA degree in Project Management from Cambridge International College (CIC) in collaboration with Zemen Development & Management Institute, International Diploma in Project Management (IDPM) from The University of Cambridge in Collaboration with Zemen Development and Management Institute and a Psychologist with BA degree in Psychology from Addis Ababa University. Moreover, he has secured professional certificates on Home Instruction Program for Preschool Youngsters (HIPPY) from The Jerusalem Hebrew University, Social Care and Support for Children & Adolescents Infected and/or Affected by HIV & AIDS and The Education of the Young Child with Special Needs from Mount Carmel International Training Center (MCTC), Haifa, Israel respectively. As Founder of Enrichment Center for the Disadvantaged (ECD), he has been focused on helping children with both physical and psychological health issues. His vision is to see healthy growth and development of orphan and vulnerable children with and without impairments in Ethiopia. Towards his goal, he has contributed much in child protection, family preservation intervention, poverty reduction and training child caregivers. He is especially interested in the field of early childhood education and has written a book on the topic in Amharic language. Mr. Sahilu’s belief in emphasizing the benefit of reaching children while they are staying in their families and community could be sited as major contribution for the betterment of the children he is serving. As to his professional service, he has worked for a local and international humanitarian organization for the past fourteen years for the positions of Managing Director. 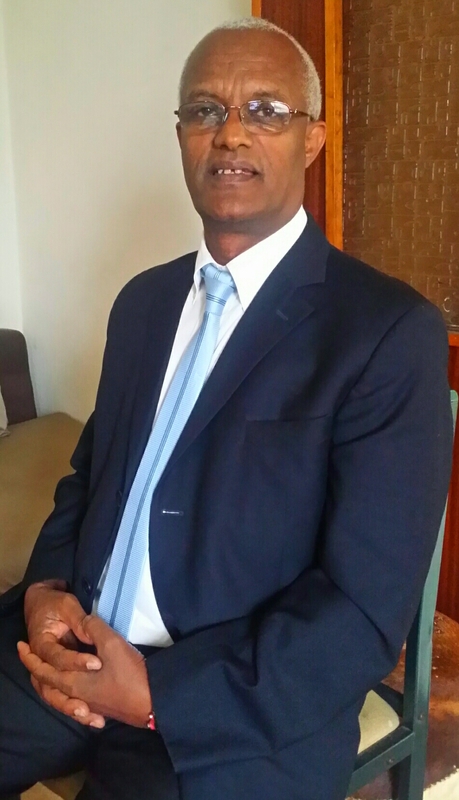 He has also served as trainer at Awassa Teachers’ Training Institute, East Africa Applied Arts and Technology College and Holy Trinity College for more than twelve years. During his professional career, he has learned and gained sufficient knowledge and practical experiences in humanitarian activities and trainings. He has established suitable inter personal communication patterns, maintained project team and stakeholders management skills that ease knowledge-transfer and thereby assures realization of project objectives and organizational goal. how Children's Health Fund is making a difference. Copyright 2017. Designed by Epic Software Technologies.